…. 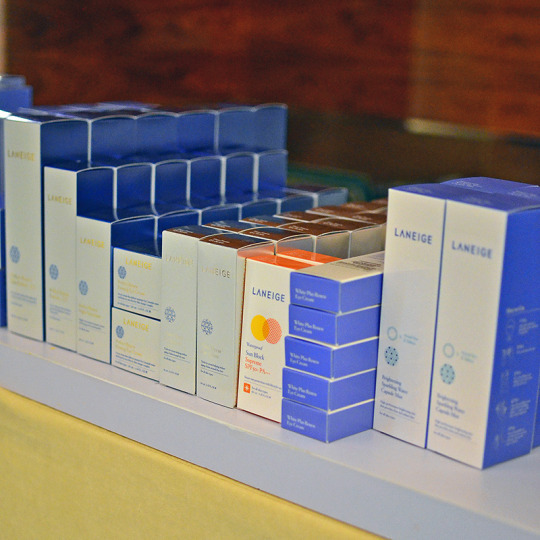 since LANEIGE, one of the best Korean beauty brand is available in Indonesia. Yesterday, I was invited to their exclusive event at Raffles Hotel, Jakarta to celebrate their anniversary with fellow bloggers and their loyal customers. 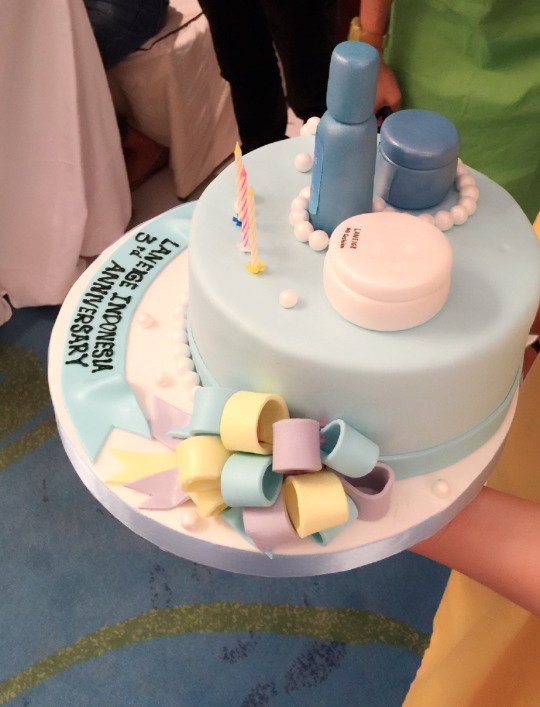 How cute is the cake? And yesss…free pampering session from facial. 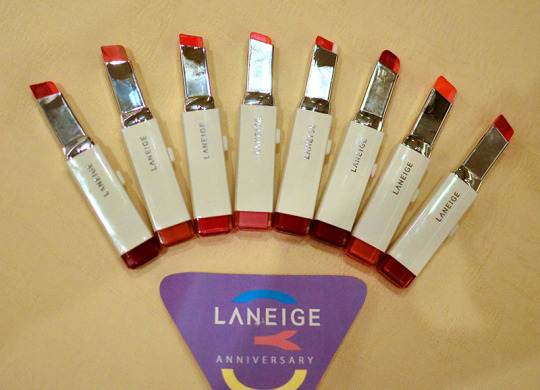 hand massage, nail art, makeover by Laneige Makeup Artist and Eyebrow Shaping by Touch. 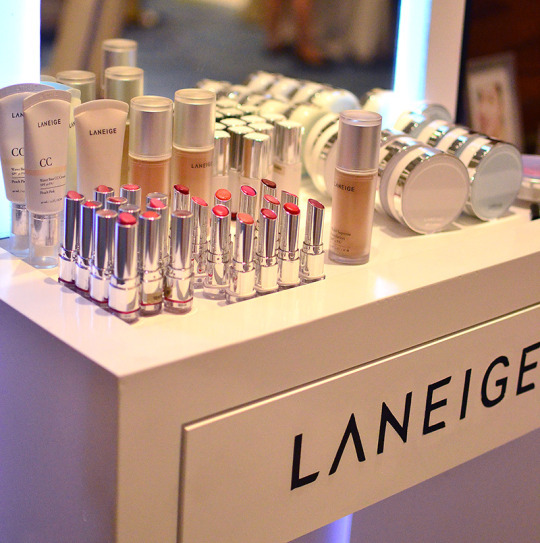 At the event, we were introduced to two latest products: TWO TONE LIP BAR & TIME FREEZE EYE SERUM. Angled & slanted, TWO TONE LIP BAR is the lipstick you want to get if you want to create that ombre lips which are super famous in Korea. With this one lipstick and special application technique, you don’t need two lipstick to create that ombre lips look. They come in 10 colors (ooopss, I only took 8 of them, my bad). 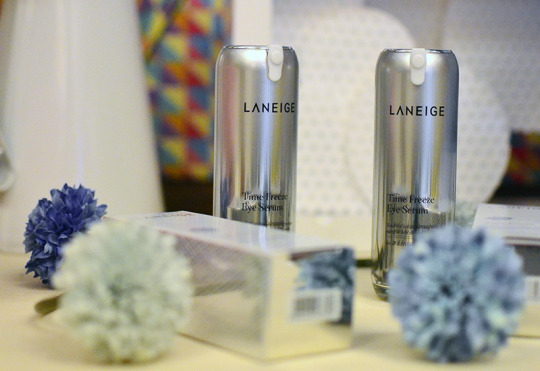 As for the TIME FREEZE EYE SERUM, it claimed to reduce signs of aging around the eyes area. I’ll do separate review on this one, promise! 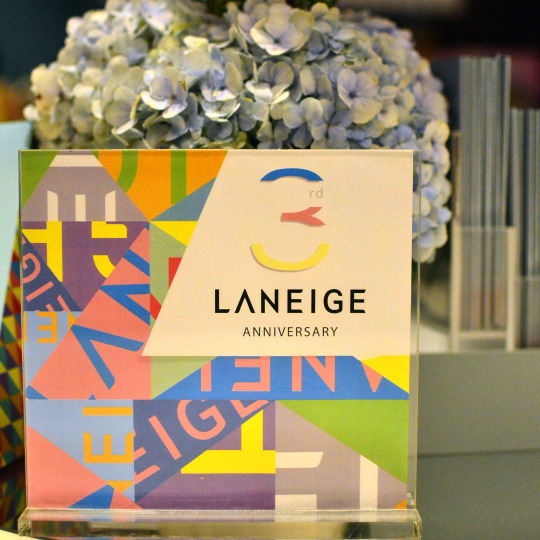 This year, there’ll be more makeup for Laneige (yeay!) even though they’re well known as a skincare brand. Looking forward to it. 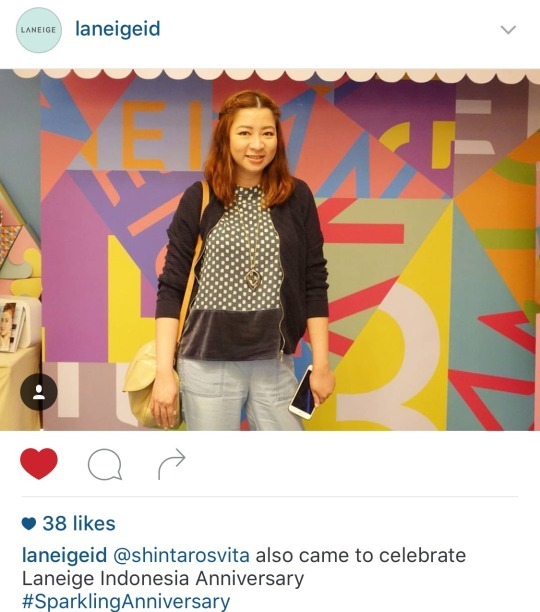 Thanks for tagging me on your instagram, Laneige. More successful years to come for you.